Disney has received a lot of praise (and money) for the the way it’s handled both its traditional animated films and live action Marvel projects. So it stands to reason that Disney could make even more money if they unceremoniously mashed the two ideas together like some sort of Mickey Mouse-inspired David Cronenberg character. In recent years, Disney has begun remaking its classic princess stories into edgy, modern live action films. Results have been mixed. Some of them have been huge successes, while others… have starred Johnny Depp. Not to be deterred, Disney has decided to forge ahead. Here are all of Disney’s upcoming live action projects. The BFG (or Big Friendly Giant) is an adaptation of Roald Dahl‘s novel of the same name. This film will be directed by Steven Spielberg and will star Mark Rylance, Ruby Barnhill, Penelope Wilton, Rebecca Hall, Bill Hader and Jemaine Clement. In 2013, Disney announced a remake of the 1977 classic Pete’s Dragon starring Oakes Fegley, Oona Laurence, Robert Redford, Bryce Dallas Howard, Wes Bentley, and Karl Urban. The film is to be written by David Lowery and Toby Halbrooks and the dragon, Elliot, will be entirely CGI animated rather than hand-drawn. Because there is a lack of information about the period, Gowariker met with over a half dozen archaeologists over the course of three years in order to accurately represent the food, lifestyle, and beliefs of the time. He even visited the archaeological site of Dholavira. After the “success” of other live action adaptations like Maleficent and Cinderella, Disney announced a live action version of Beauty and the Beast. Bill Condon is set to direct, while Stephen Chbosky (The Perks of Being a Wallflower) will write the script. The adaptation will draw inspiration from not just the original animated film, but also the Broadway musical. Composer Alan Menken will return to write the score, which will include songs from the original film as well as new tracks. On January 26, 2015 is was announced that Emma Watson would be starring as Belle. Susan Egan, who played Belle in the Broadway adaptation called Watson’s casting “perfect” and Paige O’Hara, who voiced Belle in the animated film, even offered to give Watson singing lessons. Other casting choices include Luke Evans (as Gaston), Dan Stevens (as the Beast), Josh Gad (as LeFou), Emma Thompson (as Mrs. Potts), and Kevin Kline (as Belle’s father, Maurice). Members of Beast’s household staff include Audra McDonald (as Garderobe, the wardrobe), Ian McKellen (as Cogsworth, the clock), Gugu Mbatha-Raw (as Plumette, the feather duster), Ewan McGregor (as Lumière, the candelabra), and Stanley Tucci (as Cadenza, a grand piano and original character for the live action film). Pre-production on Dead Men Tell No Tales, the fifth installment in the Pirates of the Caribbean franchise, started as early as 2011. However, after Disney lost nearly $190 million on The Lone Ranger (another Johnny Depp film), the studio began questioning the bankability of not just Johnny Depp, but the Pirates franchise as well. The project went through a series of delays and re-writes before finally being given the green light. An Artemis Fowl movie has been in development hell for over a decade. In 2013, Disney announced an adaptation of the first two Artemis Fowl books developed by Harry Potter writer Michael Goldenberg (Harry Potter and the Order of the Phoenix). Kenneth Branagh will serve as director, while Irish playwright Conor McPherson will pen the script. 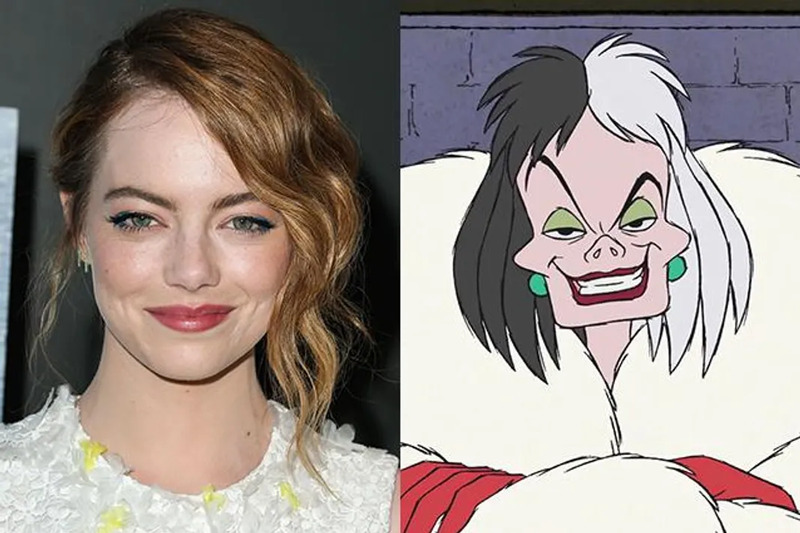 Movie Pilot just announced that Emma Stone has just be confirmed to play Cruella de Vil in Disney’s live action version of 101 Dalmatians. The film will focus on the younger version of the classic villain. As long as Stone channels Glenn Close‘s 1996 Cruella, then we’re down for the change. Right now, Disney has reserved four slots for “live-action fairy tale films,” which might include any number of planned films. 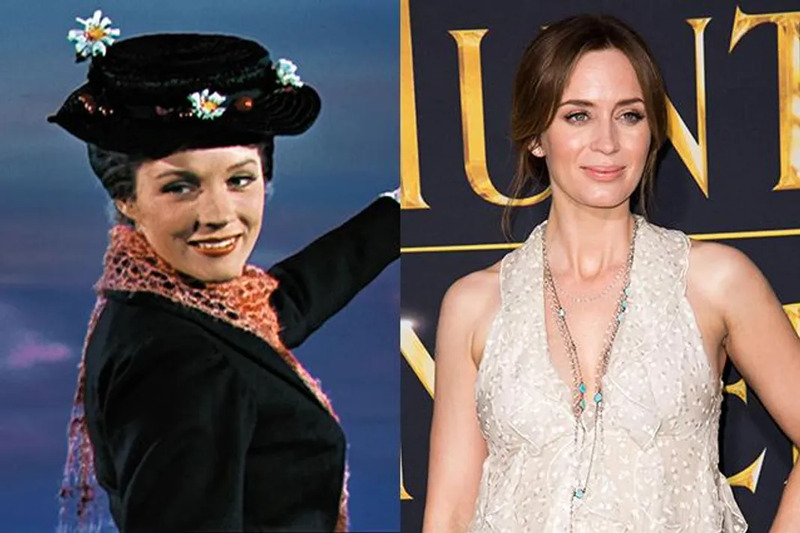 Live action Disney films not yet slated for release include remakes of Dumbo, Mulan, Winnie the Pooh, Pinocchio, and The Sword in the Stone, as well as untitled sequels to both Maleficent and Oz the Great and Powerful. There will also be other new live action films including Tink which will star Reese Witherspoon, Jungle Cruise starring Dwayne Johnson, Prince Charming, Disenchanted and Genies.